Breweries, wineries and distilleries, regardless of the size of their operation, require easy-to-clean, durable flooring that is USDA-compliant to ensure a sanitary environment. Frequent spills and staining, as well as heavy foot, cart and forklift traffic, can also take their toll on concrete slab floors, unless protected by the right high performance flooring system. Moreover, strong acids, caustic chemicals, high pressure washing/steaming and harsh disinfectants used to clean and sanitize equipment and work areas require specialized flooring that can withstand this tough environment. Areas open to the public, such as tasting rooms, require some of the same high performance durability, stain and chemical resistance as winery, brewery or distillery production areas, yet must be especially attractive and inviting. 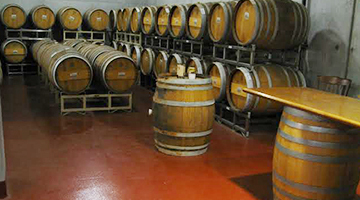 High-quality winery and brewery flooring is important for installation in these facilities. There are certain considerations that facility owners need to take into account prior to selecting a floor coating, but Florock can provide some of the best solutions for these types of floors. When opening a new winery or brewery, the facility’s flooring should protect against damage from heavy equipment and corrosive chemicals, while also protecting workers and visitors from slips. Unlike other production facilities, visitors enjoying drinks will often be present, making safety crucial for both employees and customers. 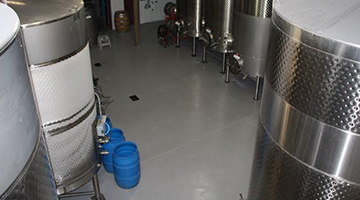 Brewery and winery flooring also needs to be easy to clean, as spills are often commonplace in these facilities either during production or consumption. FDA compliance is also needed, which you can meet with resinous floor systems. One of the unique processes that’s used in breweries is thermal cycling, which is the alternation between cooling and heating where boiling water and steam are used in the brewing process. Following the boiling process, cold water is used for wash-downs. Resinous flooring is capable of protecting floors that use this process. Regardless of your facility’s needs, Florock has some of the best solutions for your floors, with the ability to design and install high-quality resinous flooring solutions that are ideal for these applications. Florock’s full line of USDA compliant flooring for breweries offers EPA registered antimicrobial options to help keep bacteria, mold and other pathogens at bay. To create the perfect bottle, wineries take care to construct the perfect environment. Whether in barrel rooms, bottle storage areas, pressing, fermenting, filling or other production areas, a contaminant-free setting contributes to a high-quality product. These areas are also often prone to spills and staining. To meet local, state and federal regulations, winery floors must be durable and provide a high level of cleanability for easy sanitation and disinfecting of equipment. Florock’s full range of hybrid floors are especially designed to meet these needs, while offering aesthetically-pleasing finishes and decorative options. The result is beautiful, high performance flooring perfect for every winery. If you’re looking for high-quality resinous floor coatings for your brewery or winery, contact Florock today. We’ll help develop a complete flooring system that’s right for you. Every distillery guards its unique secrets of converting cereal grains into fine spirits very closely. Like the production of craft beer and wine, the process of distillation is as much an art, as it is a science. The floors in such facilities, whether in the distilling room, barrel room or bottling area, are constantly at risk of exposure to acidic sugars, as well as high temperature liquids. Florock’s FloroCrete products are designed to withstand the harsh and abusive environment of distilleries. Our floor systems also offer facility owners the ability to customize their floors to the right level of slip resistance. Combined, these properties create floors that provide durable long-term service and superior value. All of our food processing flooring systems meet USDA standards and cope easily with the extreme environments present at breweries, wineries and distilleries. The EPA registered antimicrobial protection inherent in all FloroCrete products helps maintain a bacteriostatic and fungiostatic environment. Heavy-duty epoxy wall systems are also available for added sanitation. Whether an industrial flooring system or an attractive designer floor is required, Florock has the full range of high performance flooring systems and decorative finishes needed to create a floor that is both functional and beautiful. Learn more about our complete line of flooring products and systems by contacting a flooring specialist.